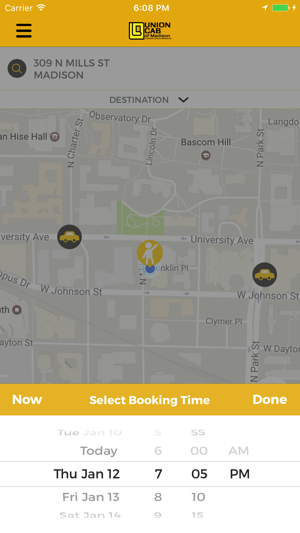 Book a ride in as few as 3 clicks! 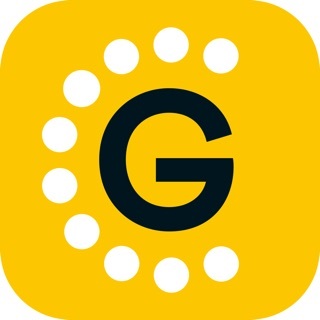 Use the app and skip the telephone queue, which is nice during peak hours. 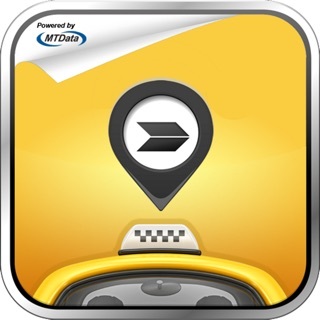 See where your taxi is with live tracking. 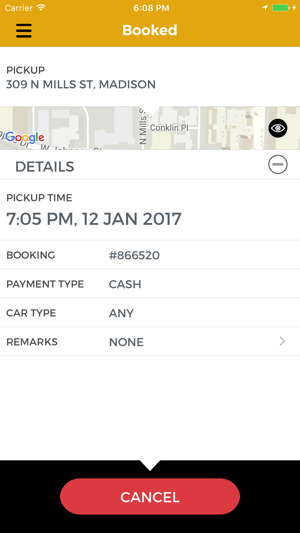 Get a notification when the cab is near. Save your common locations for quick access. The GPS on your mobile device gives us your location so you don’t have to enter it. You can fine tune it on the map, too. Type a note for the driver to help them find you. 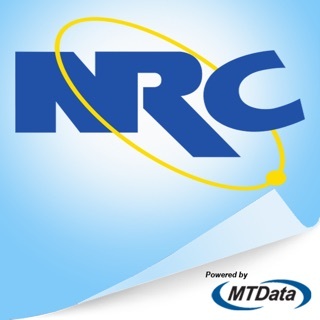 Call us straight from the app by tapping “Call Operator”. Use this for parties larger than 4, or for special needs or requests. Union Cab operates the largest taxi fleet in Madison. 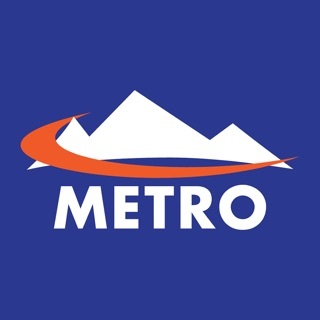 Our experienced staff and drivers provide over 400,000 rides annually. Drivers must complete the city approved disability & sensitivity training program, our defensive driving course, and pass an MPD driver background check. Union Cab is a worker cooperative; each worker shares a vested interest as a member owner. Our Mission: “To create living wage jobs in a safe, humane, & democratic environment while providing quality transportation services. 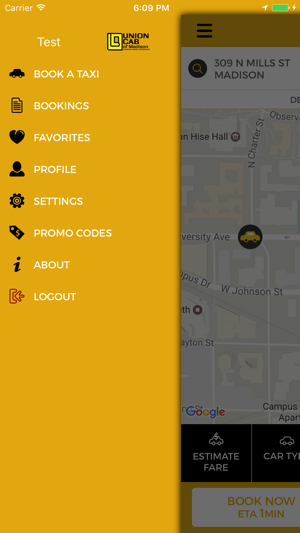 Union Cab is your alternative to the other TNCs when you are in Madison, Wisconsin. Drivers own their own coop nearly 40 years-very cool people that have background checks and know the city! Madison is a Progressive city and the very hip know that Union Cab is the best ride service in Madison, Wisconsin-direct rides, direct routes, cash or credit. Cheaper than other TNCs for long distance or short downtown rides. 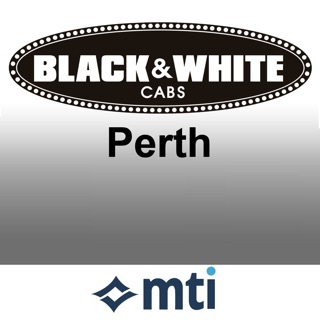 Finally an app that allows me to hire a real taxi with a professional, insured cab driver who has been background checked and finger printed and I get to support one of the oldest workers coops in the country, no less! Union cab was offering on-line ordering through their web site since 2005-long before almost everyone! However, til now they didn't have an app. 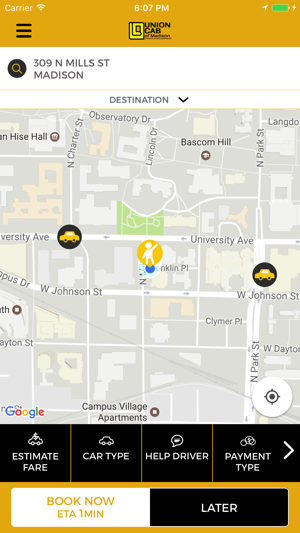 It makes a difference and this app lives up to the quality that Union Cab is known for. You can load your favorite destinations for easy one-tap use, make payments, select the type of vehicle (esp important for those with wheelchairs), and even make appointments. Flagging a cab down on the fly? No problem! The app can send you a code and you can pay through the app and save your cash to tip. Union Cab is a 100% worker owned And operated company--your driver, the dispatch, the mechanic, and everyone who works to get you a cab is an owner with an equal voice. The co-op difference means a great ride and now with a great app!